A Texas father convicted in the 2012 murders of his son-in-law and his daughter’s best friend — in what was described in court as a set of “honor killings” — was sentenced to death Tuesday. Ali Mahwood-Awad Irsan, 60, was convicted of capital murder last month in connection with the deaths of his American son-in-law, Coty Beavers, and Iranian women’s rights activist Gelareh Bagherzadeh. Police said Irsan, his wife Shmou Alrawabdeh and their son, Nasim, followed Bagherzadeh to her parents’ home in January 2012, and that Nasim Isran shot her in her car. 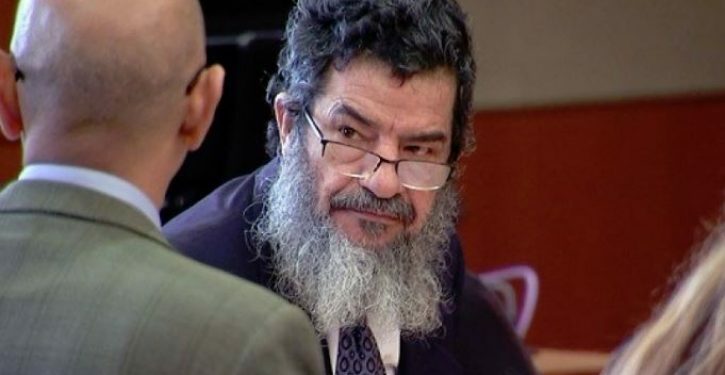 Eleven months later, the elder Irsan slipped into Beavers’ unlocked apartment near Houston, waited for his daughter to leave for work, then shot his son-in-law, according to Alrawabdeh, who testified as part of a plea agreement with prosecutors.